Still can't find what you want? 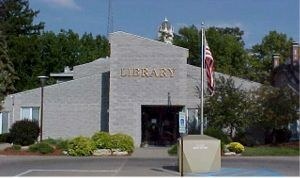 Try WorldCat Discovery or WorldCat Local to "Search Jerseyville PL and Beyond." Click on the logo to read the current issue of the newsletter. If you'd like to have it emailed directly to you each month, click here to sign-up! Check out our new option for tracking the books you read. Try Beanstack today! The JPL Book Club selection for April is A Hillbilly Elegy: A Memoir of a Family and Culture in Crisis by J.D. Vance. Discussion will take place on our Facebook page. Like our Facebook Page, and join our Book Club Group to join in the discussion. For a list of holiday closings, click here. Click for links to Federal and Illinois State Tax Information! As soon as tax forms arrive, we will announce it on our website and Facebook page.